FORMER Kaizer Chiefs and Bafana Bafana dribbling wizard Thabiso Malatsi is picking up the pieces from a life of drugs and booze. “Skapie”, as he was affectionately known during his days with the Glamour Boys, substituted his bad habits for the mic as a lyricist for gqom-house duo called Skapie and DL. Malatsi (36) started the Daveyton-based group with close friend Dlozi Dlamini (39) late last year. The two have created hits like Yizo and Mthando, which have enjoyed airplay from surrounding radio stations. 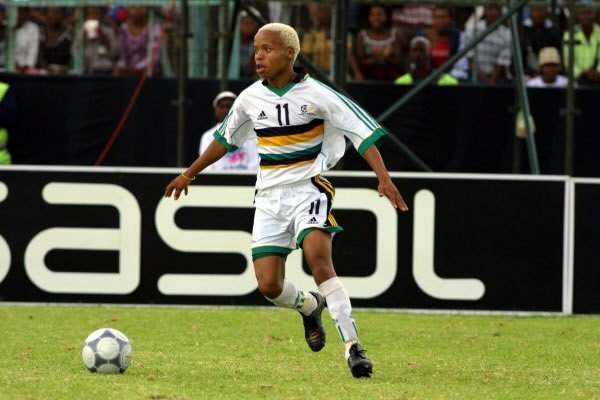 Skapie says he fell in love with music in the late 90s during his days when he used to embarrass defenders on the soccer pitch. “For me, the two are art and they go hand-in-hand. Playing soccer and music require creativity,” he said. The former player says they are working on a full album to be released soon. The father of two also works with the South African National Council on Alcoholism and Drug Dependence for the prevention of substance abuse. “I encouraged 4 800 youngsters to be admitted to local rehabilitation centres,” he said. He added that playing for Chiefs from 1999 to 2004 taught him a lot about life. “I also talk to up-and-coming footballers and encourage them to avoid things like bad friends, drugs and booze,” he said.